The Federal Income Tax is a marginal income tax collected by the Internal Revenue Service (IRS) on most types of personal and business income. The federal income tax consists of six marginal tax brackets, ranging from a minimum of 10% to a maximum of 39.6%. Your income tax must be paid throughout the year through tax withholding or quarterly payments, and reconciled yearly by filing a Federal Income Tax Return by April 15th. Who has to pay Federal Income Tax? 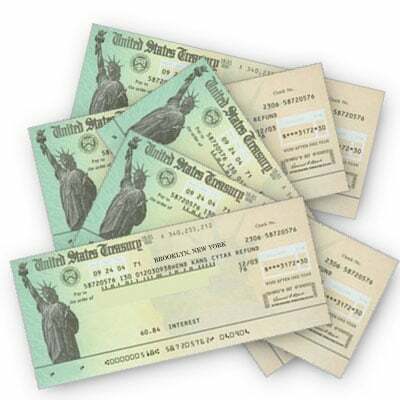 All individuals who earn over a certain amount of income in the United States, resident or non-resident, must pay the Federal Income Tax. See the table below for filing thresholds based on filing status. While everyone who earns over the filing threshold is required to file, a significant number of taxpayers (about 47% of Americans who file a tax return) will owe no income tax due to deductions and tax credits. In fact, refundable tax credits like the Earned Income Tax Credit mean that extremely low-income filers may actually see a net gain when they receive their income tax refund check. When is the Federal Income Tax paid? The Federal Income Tax must be paid throughout the year through either through tax withholding by an employer, or quarterly tax payments by the taxpayer. On Tax Day, you must reconcile your taxes and either pay any outstanding debt or request a refund from the IRS. Tax Withholding - If you are an employee, your employer will deduct a percentage of each paycheck you receive to submit to the IRS on your behalf. If your employer deducts more then you owe in tax, you will qualify for an income tax refund at the end of the year. Estimated Tax Payments - If you are self-employed or receive income from a source that does not withhold taxes for you, you need to submit estimated tax payments to the IRS yourself four times a year. See estimated tax payments. Income earned through capital gains is not subject to the standard income tax brackets, but is instead taxed at a special capital gains tax rate depending on both the type of investment and the taxpayer's normal tax bracket. The capital gains tax rates apply to gains made through the sale of capital assets including stocks and securities, bonds, real estate, and collectibles. Capital gains are taxed when the gain is realized (sold for cash or equivalent), and the length the asset was held helps determine the tax rate paid. Long-term capital gains, which are taxed at a lower rate, are gains on capital assets held for more then one year. Short-term capital gains, usually taxed at the taxpayer's normal tax bracket, are gains realized on capital assets held for under one year. Capital gains and losses are reported on Form 1040, Schedule D of of your Federal Income Tax Return. Both long-term and short-term capital gains tax rates will be raised in 2013 as part of the deficit-reduction plan. Tax deductions and tax credits can be deducted from taxable income and owed tax, respectively, and help lower your overall tax burden. A variety of deductions and credits are available to different taxpayers. One personal exemption of $0.00 may be taken as a deduction from your gross pre-tax income for yourself if you are responsible for supporting yourself financially. Additional personal exemptions of $0.00 may be claimed for a spouse (if filing jointly) and for each qualifying child or relative listed as your dependent. A variety of expenses including business costs, capital losses, charitable donations, and certain medical costs may be itemized on Schedule A of your 1040 form. If you choose to itemize your deductions, you cannot claim a standard deduction. Tax credits, or "below the line deductions", can be subtracted directly from the amount of income tax you owe. Income tax credits reduce your tax burden significantly more then a tax deduction of the same size, so it is well worth researching the various federal tax credits available. Keep in mind that many credits have income limits at which the credit cut off or phased-out. 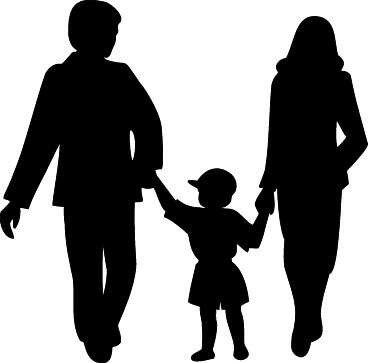 Child Tax Credit - Tax credit of to $1,000 per qualifying dependent child under age 17. Credit phase-out begins at $110,000 for joint filers and $75,000 for single filers. Earned Income Tax Credit - A flexible tax credit for low-income taxpayers, based on number of children. A maximum credit of approximately $5,000 is available to qualifying taxpayers. American Opportunity Tax Credit - Education tax credit of up to $2,500 for tuition, fees, and books purchased by a qualifying student enrolled at least half-time in pursuit of an academic degree. can be claimed for up to four years. Income limits are $120,000 for joint filers and $90,000 for single filers. Lifetime Learning Tax Credit - Education tax credit of up to $2,000 per tax return that can be claimed for you or a dependent for tuition, fees, and books. Can be claimed for any number of years. Income limits are $120,000 for joint filers and $50,000 for single filers. If your federal tax return shows that you have paid more then your actual tax liability through tax witholding or estimated tax payments, you will be reimbursed the amount overpaid through an annual income tax refund issued by the IRS. The IRS issues tax refunds both via direct deposit and tax refund checks (seen at left). Your tax refund will arrive in approximately three weeks if you e-Filed your federal tax return, or six weeks if you filed a paper return. You can check your refund status after filing on the IRS website here. According to Internal Revenue statistics, approximately 77% of Americans get an income tax refund each year with an average refund value of $2,100. Unless you benefit from the "forced-savings" effect of getting a yearly tax refund, it is probably to your benefit to minimize your federal tax refund by only having your employer withold enough of your paycheck to cover your expected tax debt. Withholding too much tax from your paychecks is approximately equivalent to giving the IRS an year-long, interest-free loan. By withholding only the tax you expect to owe, you will be able to raise your weekly or monthly paycheck amount and avoid waiting to get your money back as a refund. 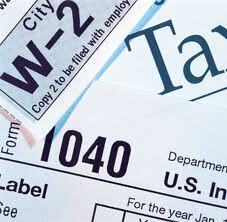 You can change your withholding amount by amending the W-4 form on file with your employer. For more information, read about claiming your income tax refund. Did you find what you need on this page? We want your suggestions and comments!